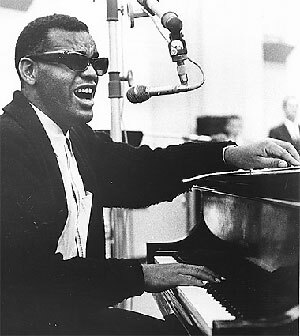 Life of Ray Charles is a testament of how determination can overcome any disability! It is so inspiring to follow this jazz cat's life! 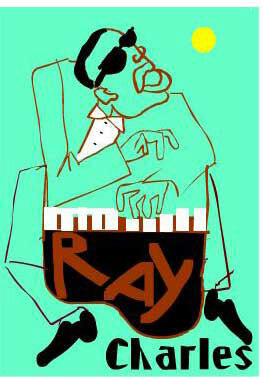 Ray Charles, was an American pianist and singer who shaped the sound of rhythm and blues. He brought a soulful sound to country music, pop standards. Frank Sinatra called him "the only true genius in the business"... If Frank said it, its got to be true baby! Ray Charles began to go blind when he was five. He became totally blind by the age of seven. Charles never knew exactly why he lost his sight. Before he left school, Charles began working as a musician in many bands that played in various styles, including jazz and, in Tampa “with a hillbilly band called The Florida Playboys." This is where Charles began his reputation of always wearing sunglasses. In 1959, Charles crossed over to top 40 radio with the release of his impromptu blues number, "What'd I Say", which was initially conceived while Charles was in concert. The song would reach number 1 on the R&B list and would become Charles' first top ten single on the pop charts.